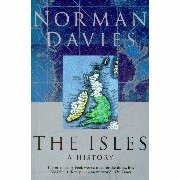 A grand attempt to tell the history of the British Isles from a post-unionist standpoint. This book is ironically let down by some key errors on the Irish War of Independence period, the very events which ensured that the British Isles would no longer be co-extensive with the United Kingdom. Nevertheless, the recognition that the history of the British Isles is not merely the story of the British state makes this study a milestone in historiography.